Oddball Films presents Better Call Saul: Saul Bass on Film, an evening of 16mm short films showcasing one of the 20th century’s legendary graphic designers, filmmakers and title producers - Saul Bass. 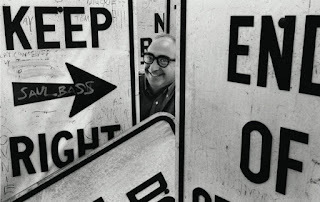 The man responsible for some of the most easily recognizable corporate logos, film posters and film title sequences was–in his own right–an incredible, visionary and award-winning filmmaker. 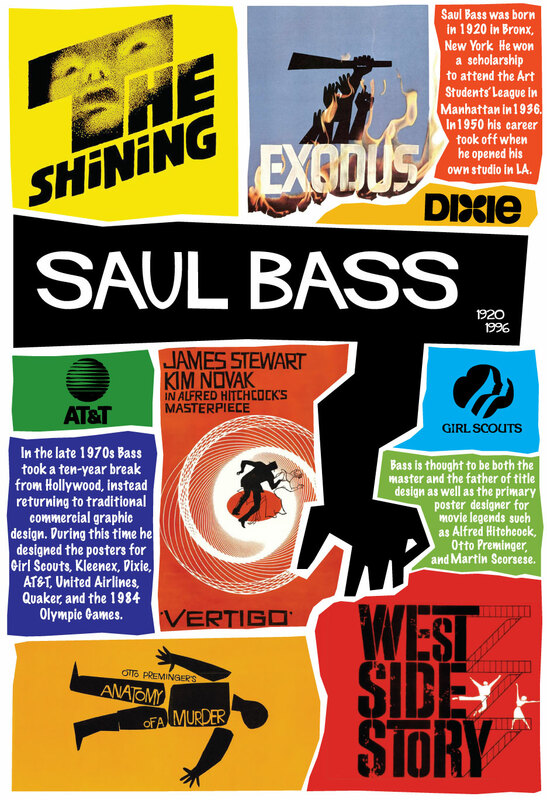 Films include documentary Bass on Titles (1977) featuring the man himself musing on the creation of some of the designer’s most iconic title sequences from such films as Man with a Golden Arm, It’s a Mad Mad Mad World, Seconds, West Side Story, Grand Prix, and Walk on the Wild Side as well as some of his most famous corporate logos; Notes on the Popular Arts (1977), explores escapism in American popular media through a smorgasbord of bizarre dream sequences with exquisite time-lapse cinematography; Why Man Creates (1969), a series of explorations, episodes and comments on creativity by Saul Bass and winner of the Oscar for Best Documentary Short in 1969; and A Short Film on Solar Energy (1980), presents an animated history of solar power and a possible future without fossil fuels. Plus trailers for films with Bass-designed titles sequences and more! Date: Thursday, March 10th, 2016 at 8:00PM. 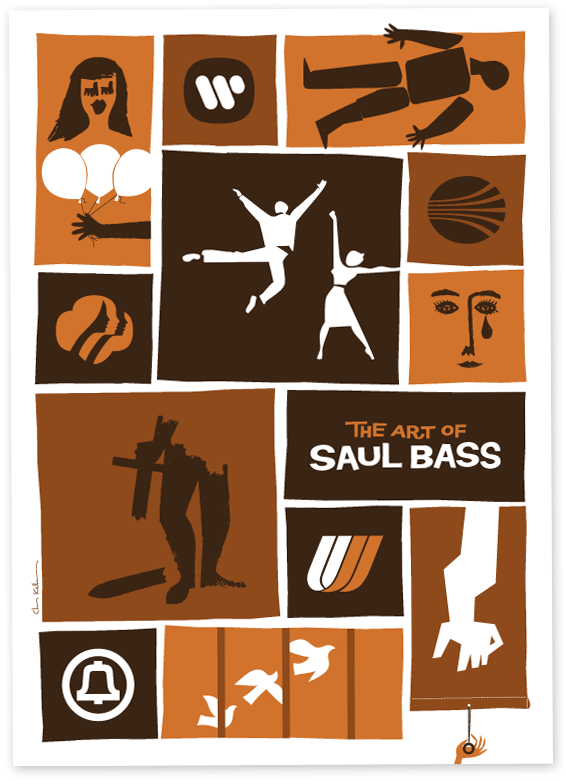 The work of Academy Award winner Saul Bass (Why Man Creates) covers the full range of the design spectrum, from feature film titles, corporate logos and product design to directing his own films about perception and creativity. In this film Bass talks about the evolution of the thematic title sequences that open and close many of the great productions of cinema. The design of these symbols involves the search for an elusive visual statement that instantaneously communicates the film’s intent while generating public interest. Title sequences included are the iconic Man With the Golden Arm, West Side Story, Nine Hours to Rama, It’s a Mad, Mad, Mad, Mad World, A Walk on the Wild Side and many more. 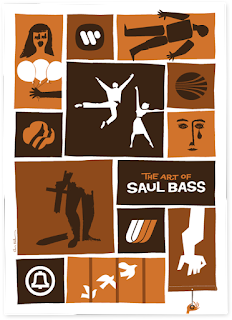 A series of explorations, episodes and comments on creativity by Saul Bass, a master of conceptual design, this film is one of the most highly regarded short films ever produced. Humor, satire and irony are combined with serious questions about the creative process and how it comes into play for different individuals. A fascinating cornucopia of trenchant ideas and important truths it’s transgressive and insightful, way-out and weird. Winner of the Oscar for Best Documentary Short in 1969. This exploration of popular media in America (think TV, movies, magazines, and music) has Bass blowing up the absurd of the every day to show how our popular arts serve as a means of wish fulfillment and escapism. In a series of fantasies, each of our treasured American art forms takes an unsuspecting person through a smorgasbord of bizarre dream sequences. Bass’s typically beautiful visuals turn this essay film into a hilarious and elegant statement. 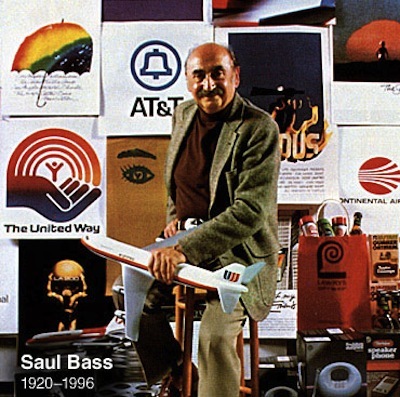 Ever the innovator, Saul Bass and friends give us a taste of what the future could look like with renewable energy. Bass treats us to short history of the use of solar energy by humans, and a wonderfully animated look at dastardly fossil fuels. The year after this film was released, Reagan removed Jimmy Carter’s solar panels from the White House roof. Go America! A small boy takes a hypnagogic trip through nature in this visually stunning investigation of the mind’s eye. During a long, wandering hike, the boy sees the history of man in a sand castle and the creation of the earth in a piece of rock. Bass goes all out on this one, using exquisite time-lapse cinematography and flawless composition. One of the greatest graphic designers of the 20th century, Saul Bass was born on May 8, 1920 in Bronx, New York. 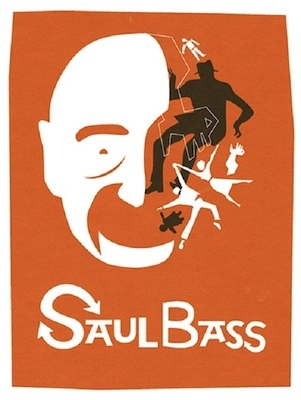 He became known for designing brilliant animated sequences for motion pictures. In his 40+ year career he did work for the best Hollywood movie makers including Otto Preminger, Alfred Hitchcock, Stanley Kubrick, Martin Scorsese and many more. 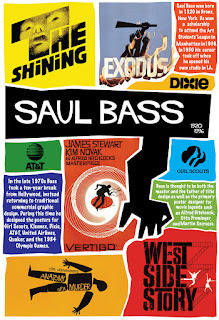 Bass designed title sequences for over 50 feature films, including classics such as The Man With the Golden Arm, Psycho, Casino, West Side Story, Anatomy of a Murder and dozens of others. 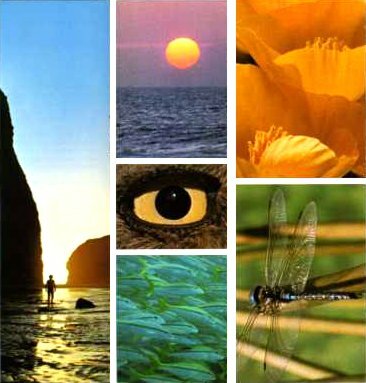 He won numerous awards, including an Oscar in 1969 for best documentary for Why Man Creates. In 1965 won Lion of San Marco award for Best Film about Adolescence for the film The Searching Eye. Bass was also well known in the publishing/advertising industry, having designed the corporate identity of United Airlines, AT+T, the poster for the 1984 Los Angeles Olympic games and dozens of iconographic logos still used today. He died on April 25, 1996 in Los Angeles. 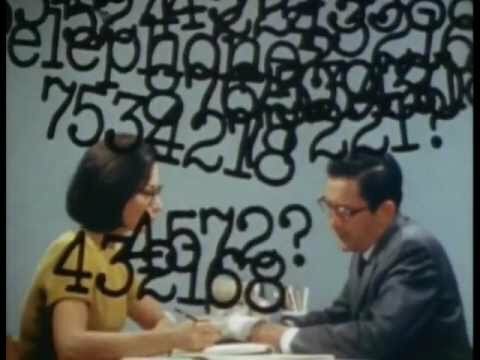 Oddball Films is a stock footage company providing offbeat and unusual film footage for feature films like Milk, documentaries like The Black Panthers: Vanguard of the Revolution, Silicon Valley, Kurt Cobain: The Montage of Heck, television programs like Mythbusters, clips for Boing Boing and web projects around the world. Our screenings are almost exclusively drawn from our collection of over 50,000 16mm prints of animation, commercials, educational films, feature films, movie trailers, medical, industrial military, news out-takes and every genre in between. We’re actively working to present rarely screened genres of cinema as well as avant-garde and ethno-cultural documentaries, which expand the boundaries of cinema. Oddball Films is the largest film archive in Northern California and one of the most unusual private collections in the US. We invite you to join us in our weekly offerings of offbeat cinema.